Idaho law provides that a person with two prior misdemeanor DUI convictions within the past 10 years can be charged with a felony upon a third DUI charge. 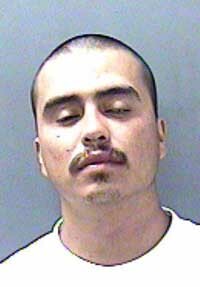 According to a criminal complaint filed against him, defendant Juan L. Juarez, charged with felony DUI in Blaine County in 2011, has prior misdemeanor DUI convictions from July 2007 in Nevada and from September 2007 in California. Ketchum attorney Dan Dolan, assigned as public defender, raised the issue of whether a misdemeanor conviction by his client in Nevada could be used to charge him with a felony in Idaho. At Friday's trial in Blaine County 5th District Court, Dolan argued that Nevada law, unlike Idaho law, does not provide a defendant with the right to trial by jury for a misdemeanor DUI charge. He also argued that Nevada has different requirements for testing an accused person's blood-alcohol level. Elgee ruled that while Nevada law is not the same as Idaho law, it is still "substantially conforming." The judge set a sentencing date of May 21. Dolan said earlier that he chose a court trial, rather than a jury trial, because a judge could better rule on the legal implications of the claims he made for his client. The Blaine County case against Juarez arose on the evening of June 18 on state Highway 75 a few miles south of Bellevue. Blaine County Sheriff's Deputy Joshua Pritchard wrote in a probable-cause affidavit that he pulled Juarez over for repeatedly weaving across the center line and the right-side "fog line" of the highway. Pritchard reported that Juarez was too intoxicated to take field sobriety tests.